*Grunt* *Groan* *Sigh* Those are the sounds that you would be privy to if you were indulging in some light stalking activities around us over the weekend. Sadly, those weren't groans and sighs of delight, but rather of anguish. Yes people, moving day arrived this past weekend, bright and sunny (although luckily not too hot), and taxed our poor muscles to the max. By the end of Friday we were ready to call it quits. Let me tell you, a queen-sized mattress is a lot harder to carry than it looks. We still had to move the cats across though, as well as some odds and ends over at the flat. TheHusband was keen to do it all that same night, but reason (i.e me) prevailed and we settled on just taking the kitties across that evening. And if you thought moving furniture was a tough job, try moving a cat. Suffice to say, many Houdini-esque attempts later and with me scratched to within an inch of my life (no jokes), we finally arrived at the New Place and the cats were allowed to explore all the nooks and crannies. Timid JD sulked the whole of the next day by refusing to come out from underneath our duvet or to eat, while boisterous Ellie ran all over the place even paying our next door neighbours a visit early Saturday morning. The rest of the weekend passed by in a haze of sorting out, unpacking, repacking, braais, kittens playing on the grass and take-aways. By Monday I was itching to use my new kitchen (save for peanut butter, banana & choc-chip baked oats on Saturday morning my magnificent new oven had gone untouched), but alas we had a dinner invitation for that evening. Tuesday would have to be D-Day. I pondered what I would make for such a momentous occasion - the first real meal prepped in my our new kitchen. In the end it was easy - I was coerced into making Indian food by a festering craving that had been building up over the weekend. And although there were a few awkward moments and bumping heads (like with any first time), I'd like to think that I lost my new kitchen virginity in style. This is my good friend N's standard order at their local Indian restaurant and it's easy to see why. Delicately spiced and laced with butter, cream and tomatoes, chicken lababdar is sure to become one of your favourites too. 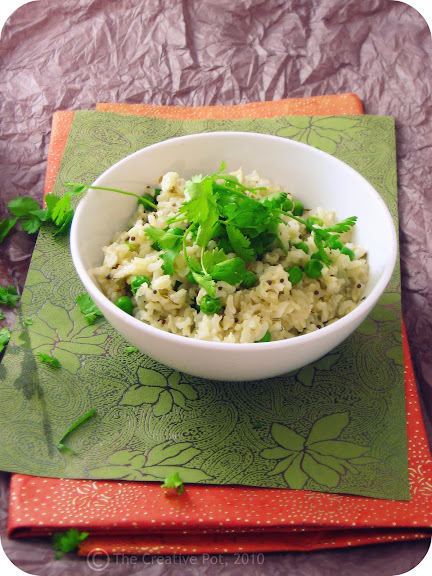 Serve with a simple rice pilaf or some naan bread to soak up the delicious sauce. 1. Heat oil in a large saucepan over medium-high heat. Add onions and cumin seeds and fry for a minute or two until fragrant, then add tomato paste and tinned tomatoes. 2. 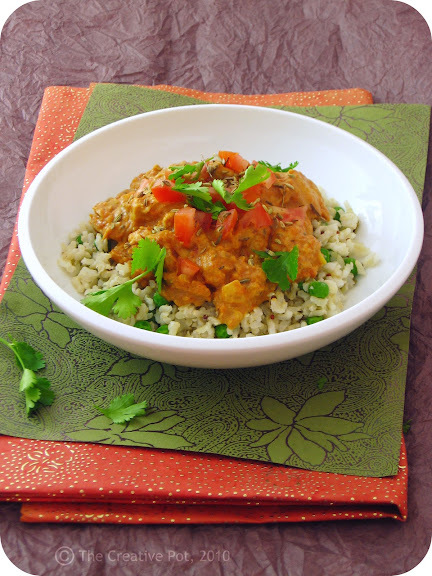 Cook for 6 - 7 minutes to reduce and thicken slightly, then add ground cumin, fenugreek, garam masala and chili powder. Stir through before adding the chicken pieces. Cover and allow to cook for 5 minutes, then turn heat down and allow to cook for a further 5 - 7 minutes or until chicken is cooked through. 3. Stir cream and butter through, allowing the butter to melt. Season to taste with salt and serve warm, topped with chopped tomatoes and coriander (cilantro). Thank goodness, I never thought I would get a chance to comment! I love your recipe. All the best in your new home. Welcome to the North! Sorry to hear about JD, a very sad loss for you during which should be only filled with happiness. Thanks for persevering with the commenting Rose! :-) And thank you for the condolences, it means a lot. But congrats on your new place and on this delicious looking curry. May it be the first of many more successful meals prepared in your new kitchen. Thanks Colleen, really enjoying the new house, and I suppose things can only get better from here. Your kind words means a lot to us. Thanks Nicola! Trying to focus on the positives - it can only get better from here, right? Thank you Tara! Appreciate the sentiment. Thanks Tandy, everyone's kind words mean so much to me. ah dearie, so sad about kitty JD.. started life as a boy, then had to have her bits out, then moved to a new house to meet her end.. Least she had loadsa lovin, hey? on the upside, you christened your kitchen with a delish dish that I'll have to make, and pronto.. Maybe when I make those cookies, hey? Love from this side of the curtain, enjoy the boerewors side! If you have posts, photographs and styling under control, I take it for granted you are settled in fully!! A lovely recipe for this slightly winterish weather we've been having!! She had & gave loadsa love, you're right! Oh babe I'm so sorry to hear about JD! So sad. On a brighter note, I'm glad to hear that your kitchen virginity was successfully lost. That's not the kind of thing you want to hold onto for extended periods of time. 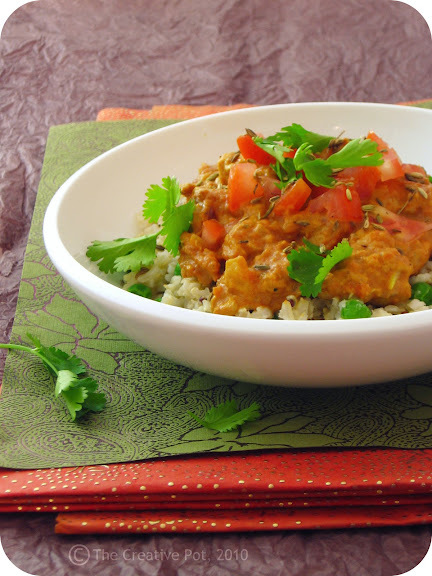 This Indian dish looks fantastic and is one that I've never heard of before. Which actually just means that my kitchen is calling me to make it! What stunning photographs Marisa. Really beautiful. And, as for the dish, well all I can say is that I have such a severe curry craving that I could eat it for breakfast, lunch and dinner (and I sometimes do!) Lovely. Oh no - so sorry to hear about your kitty :( My thoughts and prayers are with you. I'm sorry to hear about JD! This dish sounds delicious with all the different spices! So sorry about kitty, how sad! Your photography is wonderful and this dish sounds perfectly comforting. Thanks for stopping by! This definitely was a comforting dish. Thanks Eliana - really appreciate it! I think you should heed your kitchen's calls! ;-) Thank you for your kind words re JD too.